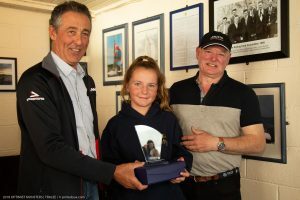 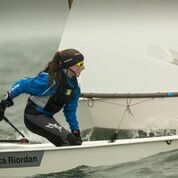 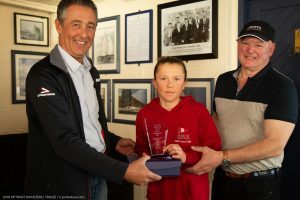 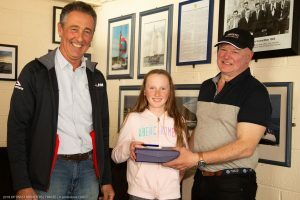 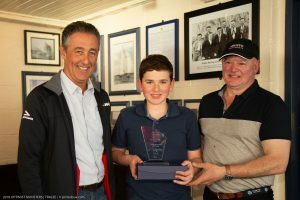 A great weekend of racing was had by all at the IODAI Munster Championships last weekend in Tralee Bay Sailing Club – Fenit. 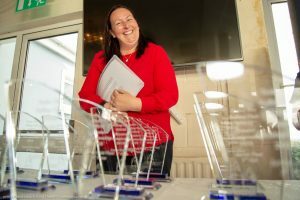 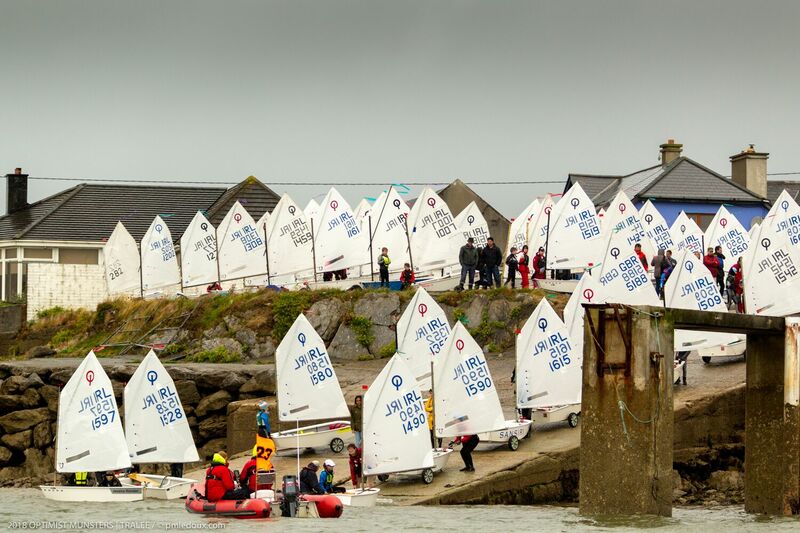 Over 100 sailors travelled from all over Ireland for what was the last regional event of 2018. 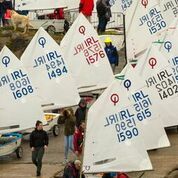 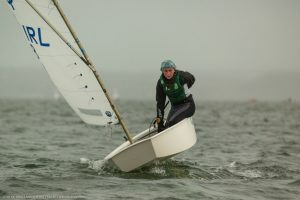 Six races were raced in both Junior and Senior Fleet in windy conditions in Tralee Bay. Saturday saw a real shift in conditions from our amazing summer weather with rain, breeze and a big chop. 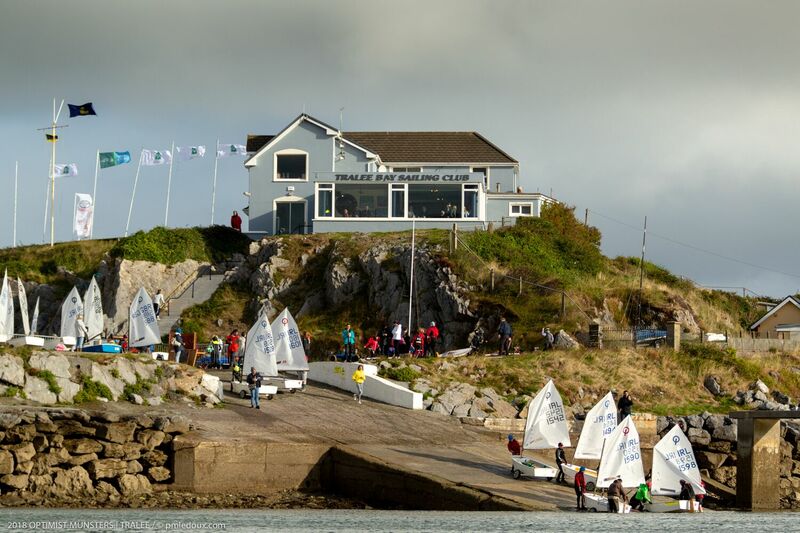 Sunday was a little nicer as the Kerry sun shone down on us and made the windy conditions more pleasant. 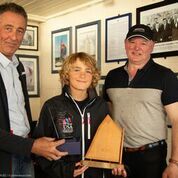 After 6 highly contested races top prize in the Senior Gold Fleet went to Sam Ledoux who beat Luke Turvey of HYC/NYC on countback. 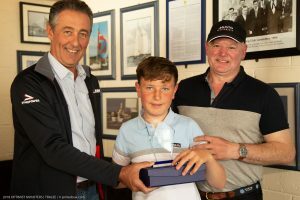 3rd place was James Dwyer-Matthews RCYC, in 4th place was Fiachra McDonnell NYC and in 5th place was Trevor Bolger of RStGYC. The Junior Gold Fleet top prize went to Rocco Wright of HYC who had a very solid event with 5 bullets! 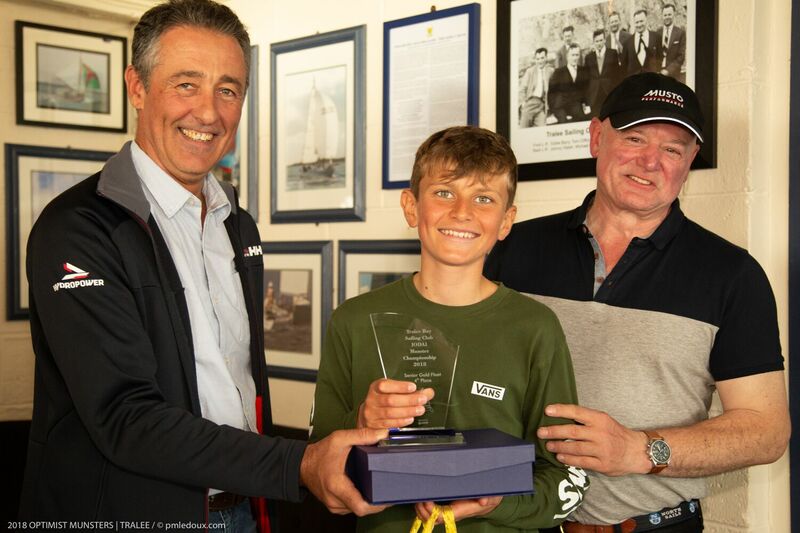 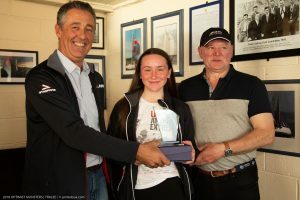 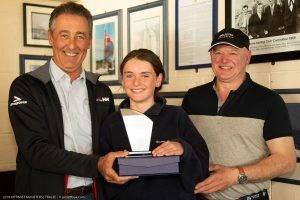 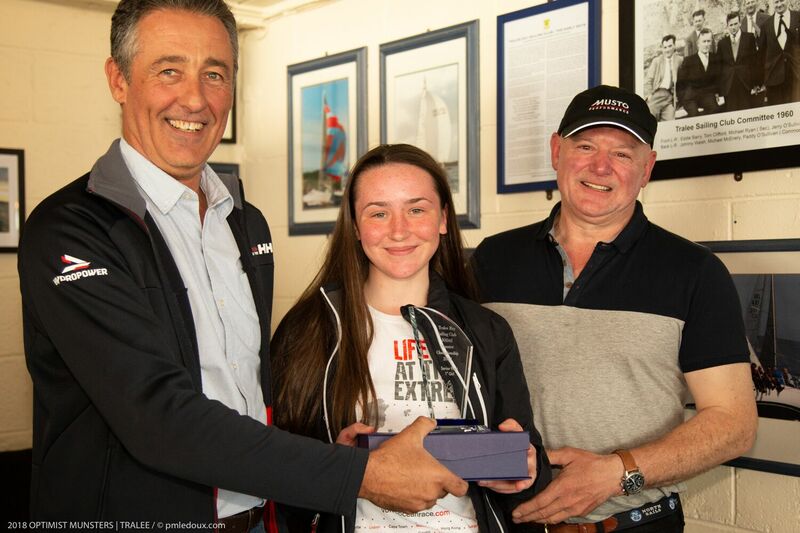 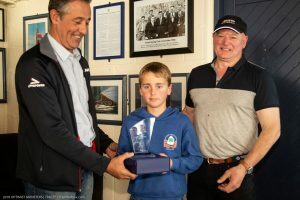 2nd place went to Jessica Riordan of RStGYC, 3rd place went to Ben O’Shaughnessy of RCYC, 4th place went to local sailor Billy Doyle (TBSC) and in 5th place was Peter Williams of RStGYC. 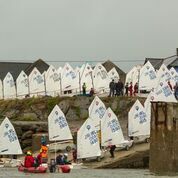 It was a tough weekend for Regatta Fleet in windy Fenit but they bravely sailed 5 races over the two days. First place went to Sienna Wright (HYC), in 2nd place was Emily Cantwell (RSyGYC), 3rd place went to Kate Flood (NYC), 4th place went to Caoimhe Corkery (KYC) and in 5th place was local sailor David Hyland (TBSC). 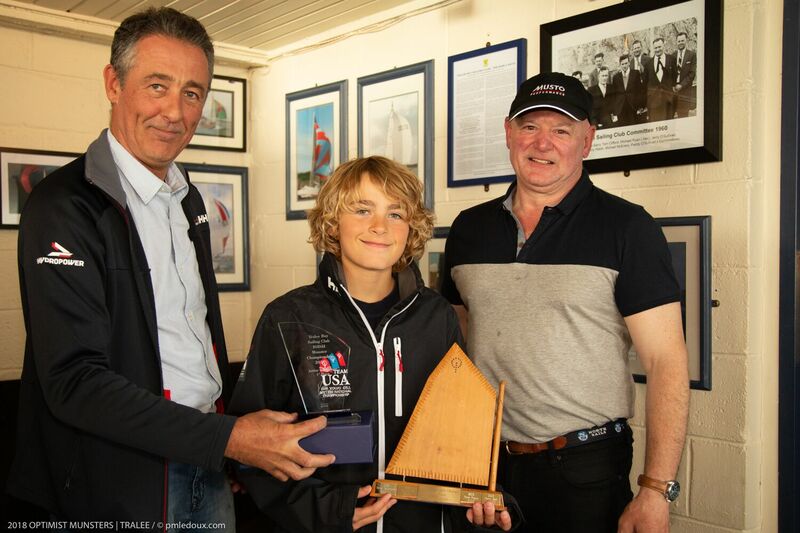 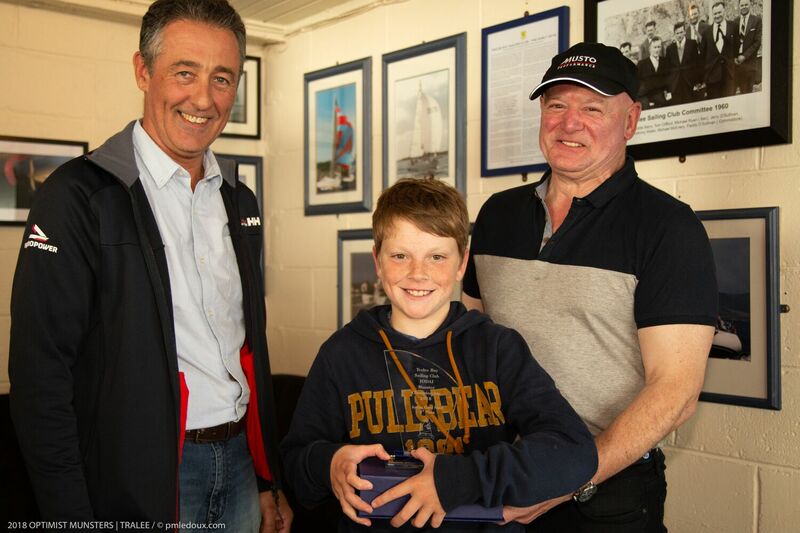 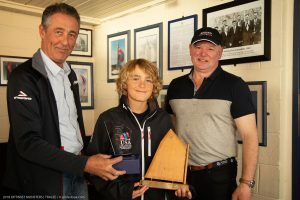 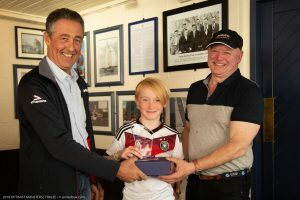 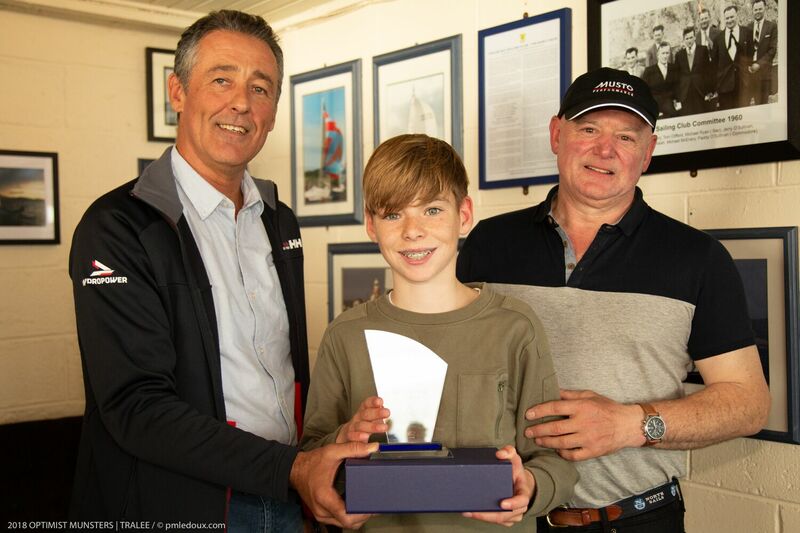 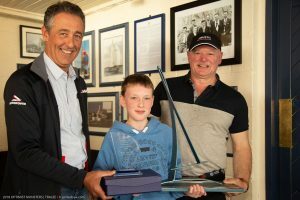 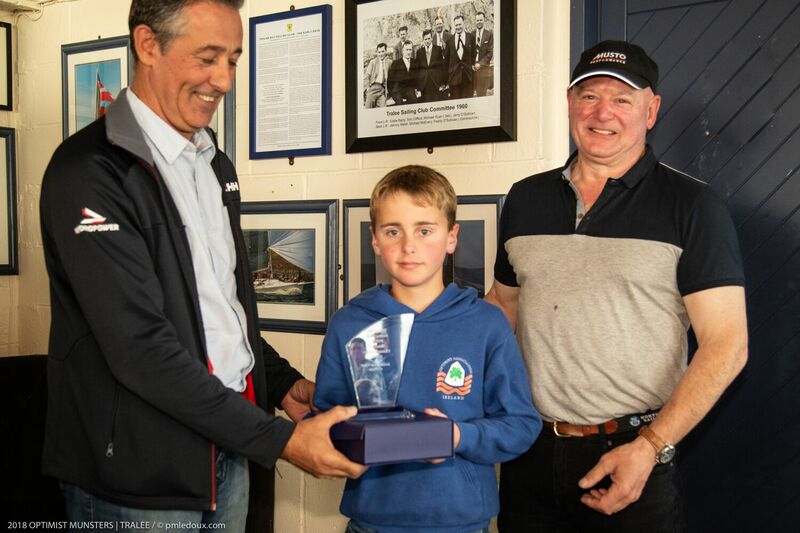 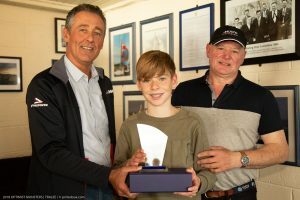 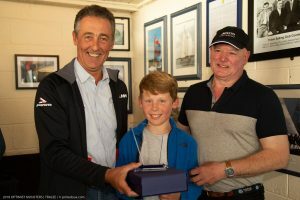 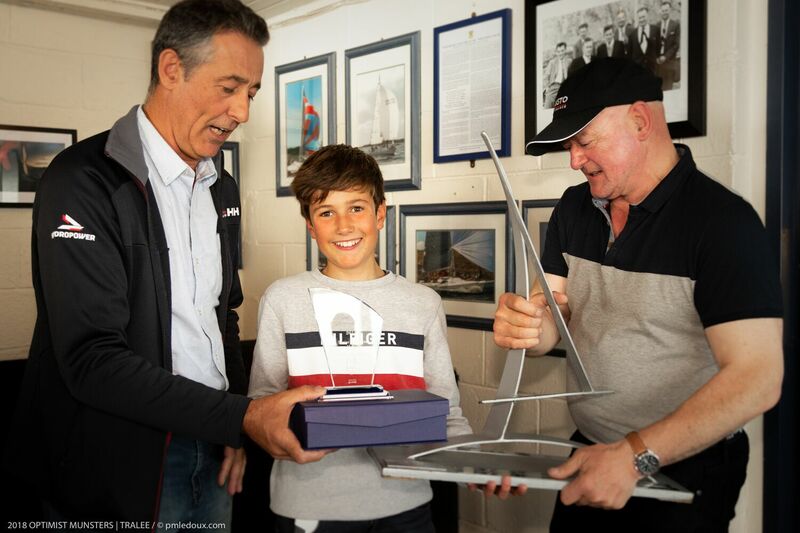 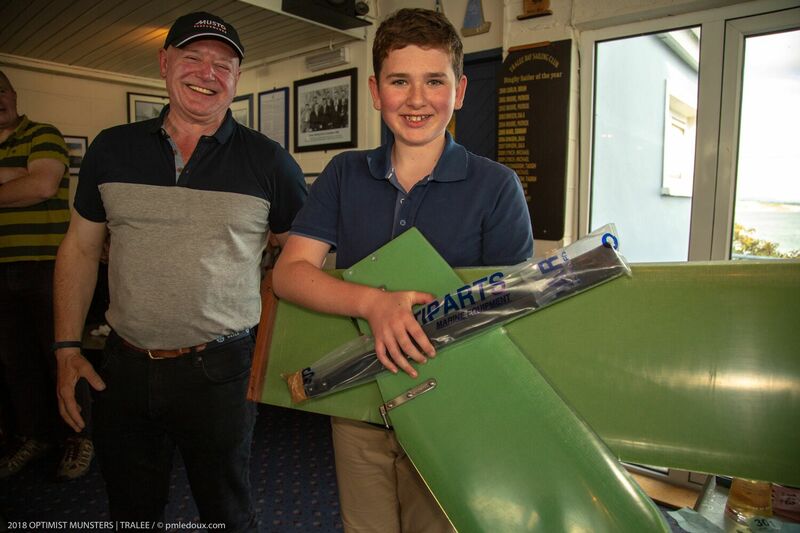 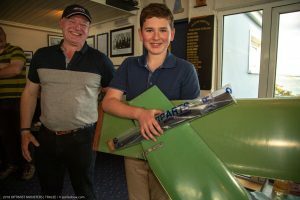 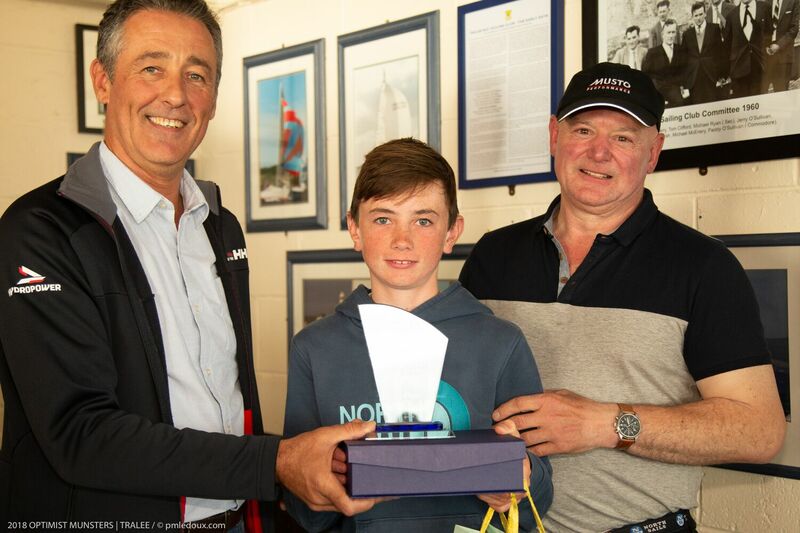 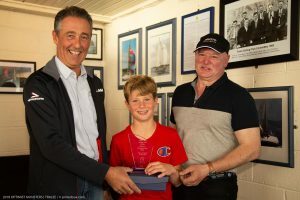 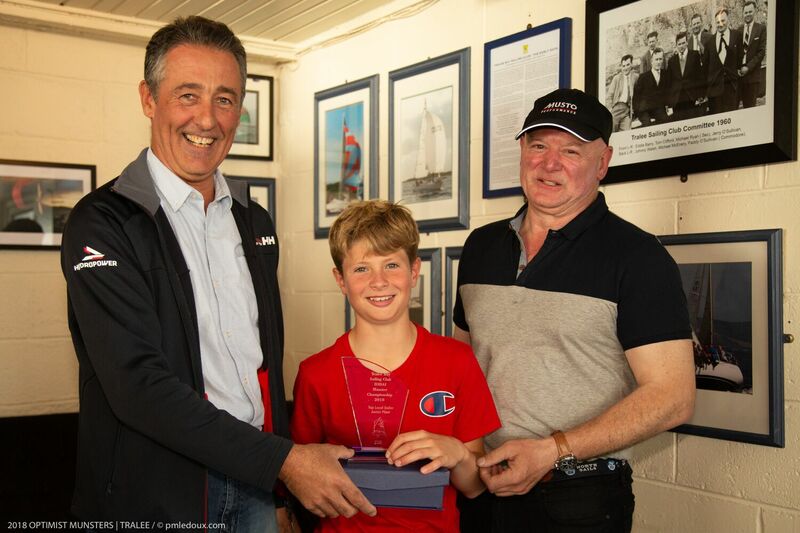 The Fair Sailing Award -went to Johnny Flynn of HYC. 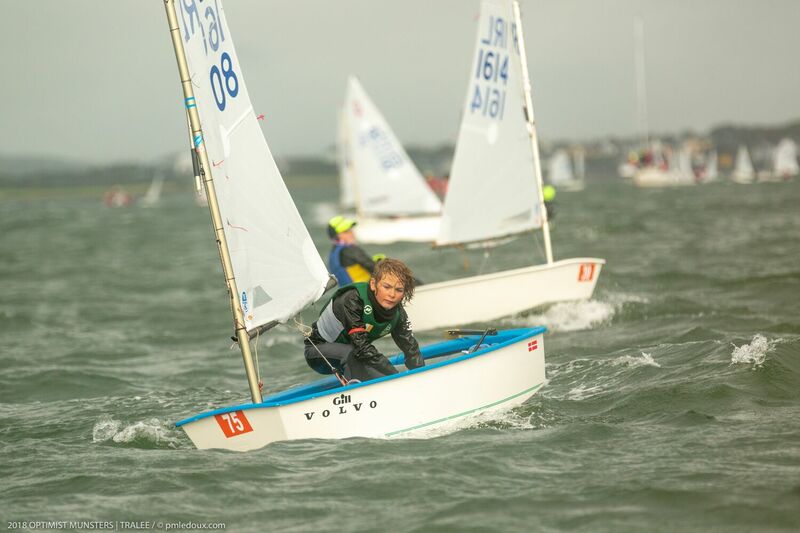 Further details of the top sailors in all the fleets are below. 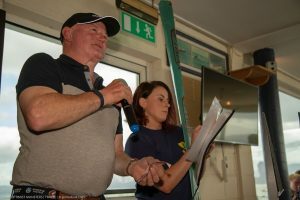 A big Thank you to all in Tralee Bay Sailing Club for hosting the Munsters and for your team of amazing volunteers, coaches and parents who really made the event so special for everyone. 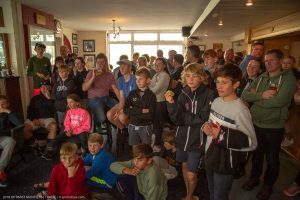 We can’t believe that it is for the summer of 2018! 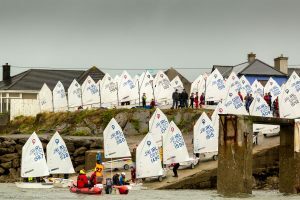 Keep an eye out on our website and on Facebook for updates on Baltimore 2019 and the full list of events for 2019, which we hope to publish soon. Thank you so much for traveling to all the events and making them so memorable. 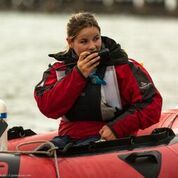 To all the sailors who are moving on from the Optimist Class to the next stage of your sailing journey, we wish you the very best of luck and fair winds. 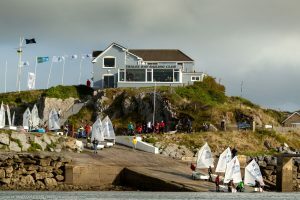 To everyone else we can’t wait to see you again in 2019!